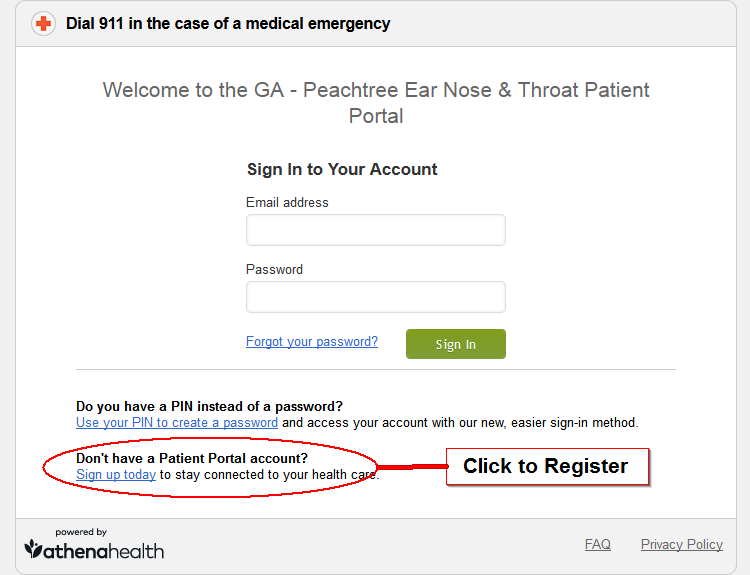 Click on the button below to fill out new patient forms for your visit. Upon clicking the button, you’ll be taken to another page where you’ll need to register to get access to the forms. Please see the image below. Please make sure you arrive several minutes early for your visit with all paperwork filled out. Thanks and we look forward to your visit.